Since I’ve been on a roll with my makeup and nail tutorials, I decided to create this hair tutorial as well. At first, I was going to do a photo post, but in the process, I found that making a video was the easiest for this. I’ve been rocking this hair style a lot recently, mostly because, I don’t like having my bangs in my face. 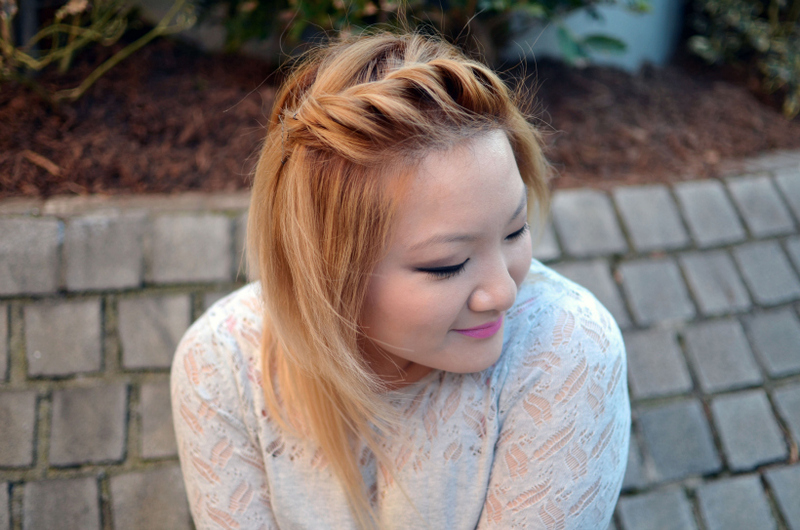 Twists are much quicker easier than braiding, and they look just as good! SO CUTE with the hair! When I do it, the sections don’t look as “divided” as yours so I need to try some mousse! Hope you’re doing well!